Sisters Deb Vigil and Loyeen Vigil-McKenna have shared a lot over the years. With just a few years between them, both have borrowed each other’s clothes from time to time as well as shared jewelry, dating tips – and even secrets. But perhaps the greatest thing the sisters shared was a love for their parents. Growing up in the Vigil household, it quickly became apparent that teaching was in the family genes. And to prove it, both sisters followed in their parents’ education footsteps. 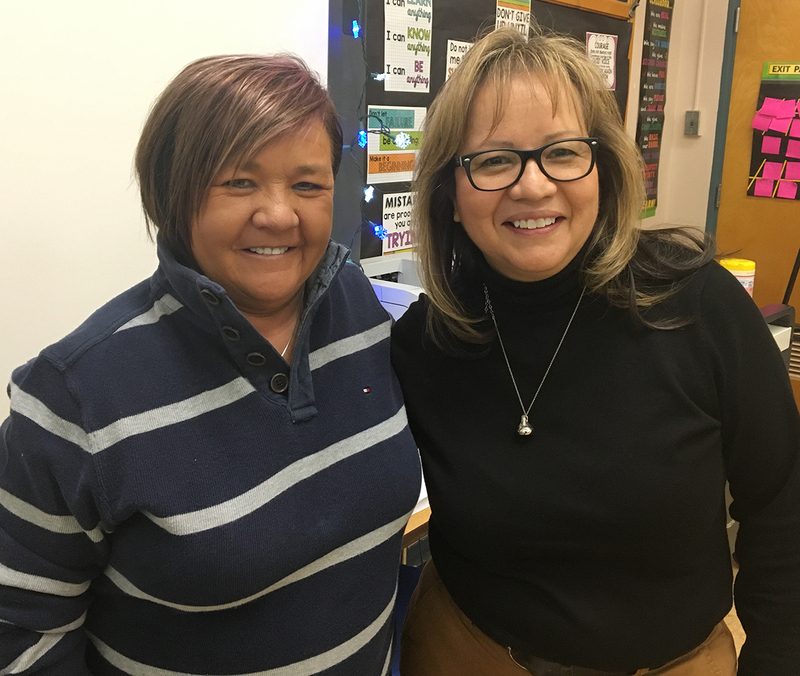 Today, both Deb and Loyeen work in side-by-side 7th-grade classrooms at Kepner Middle School – Deb teaching literacy and Loyeen teaching math. Once again the sisters are sharing, but this time its workspaces, students and life experiences. Lack of time: Both sisters say they need more time to be able to review and analyze data, student work and have more time to communicate with peers and students. Ensuring respect: The sisters both feel respected at Kepner Legacy, but hear different opinions when they attend meetings outside the school. They think it’s critical that all educators feel respected. Teacher salaries: “We need to catch up to other occupations as we are not paying teachers enough!” Loyeen said. Seniority safeguards: “We need to have this back into our contract so we keep veteran teachers around!” Deb said. Despite any challenges, both Deb and Loyeen are thrilled to be carrying on the family tradition of providing the schools Denver students deserve. If you know of a DCTA teacher that should be featured here, please email their name and contact information to Amber Wilson – DCTA Secretary. Copyright DCTA | All Rights Reserved | Site designed by One Ton Creative.